America’s Work Force Radio examined the challenges disabled veterans face when finding employment. Disabled American Veterans National Employment Director Jeff Hall, discussed why businesses should hire disabled veterans during his Jan. 30 AWF appearance. Hall said businesses need to focus on the positives a disabled veteran could bring to the workforce, rather than focus on the tasks disabled veteran is unable to perform. According to Hall, some of the positives a disabled vet can bring to a business is their resilience to adversity, and an incredible work ethic to accomplish daily tasks. Hall dispelled myths about hiring veterans with post traumatic stress disorder, called PTSD and explained how this condition can be managed. Lastly, he talked about career fairs for disabled veterans and resources available for them. Tonya Winders, President and Chief Executive Officer of Allergy and Asthma Network, joined AWF and discussed. She explained how there is a wide spectrum of asthmas and how each of them are defined based on how much they affect people’s daily routines. 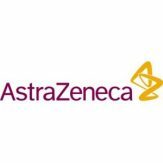 Dr. Frank Trudo, Vice President of U.S. Medical Affairs Respiratory at AstraZeneca, appeared with Winders and spoke about the different treatment for the different severities of asthma. He discussed e-asthma and how it causes inflammation in a person’s airways and lungs, which results in an increased level of breathing difficulty. America’s Work Force Radio host Ed “Flash” Ferenc discussed the end of the government shutdown and what predicts what will happen to government workers during the next shutdown battle. This entry was posted in Union Radio and tagged Allergy and Asthma Network, America's Work Force Radio, Asthma, AstraZeneca, AWF, Disabled America Veterans, Disabled Veterans, Dr. Frank Trudo, Ed "Flash" Ferenc, Jeff Hall, Tonya Winders by awfblog. Bookmark the permalink.